On May 17, the residents in the Geneva City School District voted, by a margin of 559 votes, to approve a $0.14 cent tax increase per $1,000 in assessed property value proposal to the Geneva Public Library’s yearly tax funding. Thanks to your support and the volunteers of Geneva Loves Its Library who campaigned to make it happen, the Library will now be able to meet the growing demand for new books and borrow-able materials. It will be able to expand programs for children, increase community outreach, and continue to offer 56 hours per week of library services from computer and internet access to tutoring and meeting room space. It will also maintain its seat and funding as the Central Library of the Pioneer Library System. 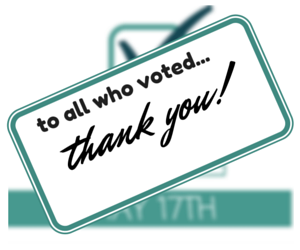 The successful vote leads into an exciting rest of 2016 for the Library. This month, we launch our annual Summer Reading Program Series with a theme of “On Your Mark, Get Set…Read.” In July we will start as a summer meal site for Geneva’s children, offering food, educational programming, and entertainment on top of our Summer Reading offerings. This fall, the Library will create a new Strategic Plan, based on input from the community, which will shape our shared vision for the next five years at the Geneva Public Library.